An enormously influential and heavy KPM set of timeless, killer funk breaks from 1972 by the mighty John Cameron. Jazzrock is an aggressive, percussion-heavy album with an energy that leaves jaws on the floor. Breaks and beats for days with electric piano, bass loops, and pounding percussion. Funky jazz with a deep, tough, soundtrack feel. 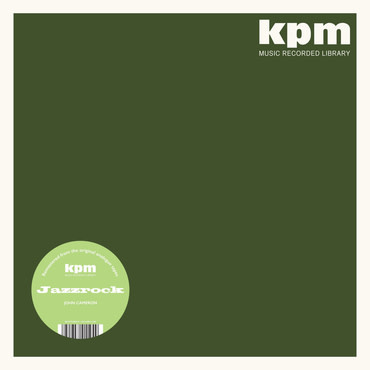 As with all of the KPM re-issues, the audio comes from the original analogue tapes and has been remastered for vinyl by Be With regular Simon Francis. Care has been taken with the sleeves, handing the reproduction duties over to Richard Robinson, the current custodian of KPM’s brandidentity. And don’t worry! Those KPM stickers aren’t stuck directly on the sleeves!